Btw we saw the lights on three consecutive nights. One of my colleagues at the local Astronomy Society has been on 4 flights over 6 years to view the Northern Lights ranging from Iceland to Northern Sweden. This year , they have been exceptional both in the north and the south. Plenty of images / videos available on You Tube and several web cam sites. 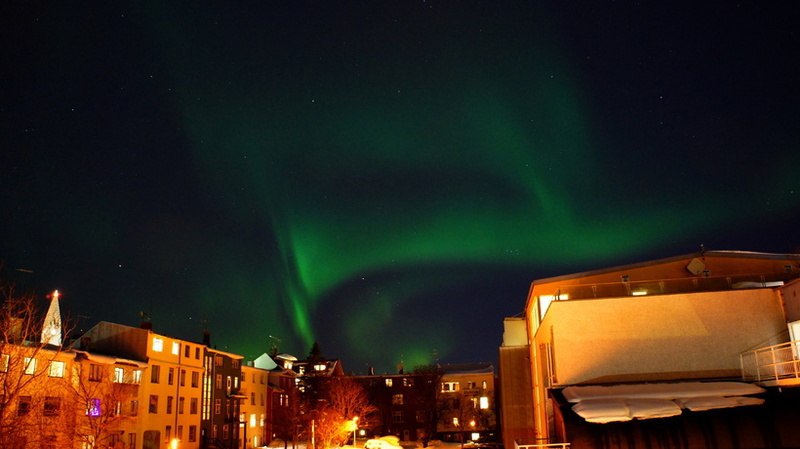 The main Iceland news site has been providing daily coverage , with the Government fully co-operating by turning off the lights in the capital and other towns. The Heavens Above site is also good for upto date news , providing an advance warning service for likely celestial events. Last edited by Chris From The Gulag on Sat Mar 10, 2018 1:09 pm, edited 2 times in total. John_1610123 wrote: Just returned from a trip with my wife to see the lights in Noway with hirtegruten cruises, she's a power chair user, found so many things that we'd do differently if we ever get the chance to do it again. Btw we saw the lights on three consecutive nights. All a question of timing ... and sheer luck ... Susie. 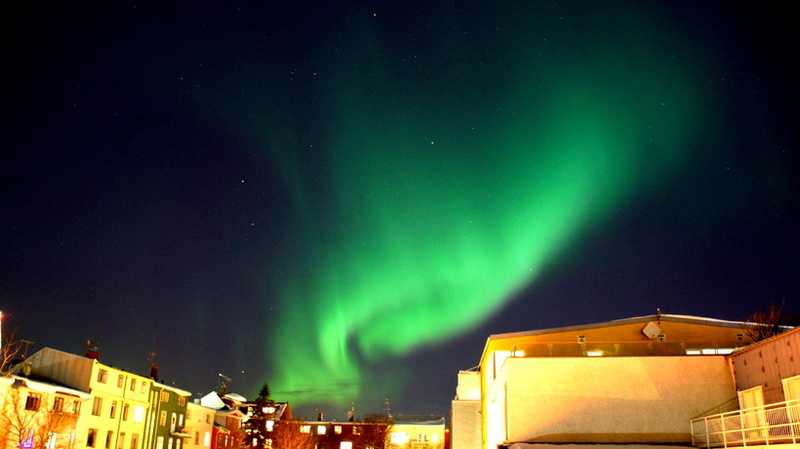 A couple of images photographed over Reykjavik , the capital of Iceland , earlier this month. Perhaps even more stunning if they were taken when the lights had been turned off , and not freeze solid by the time the shutter had closed ? Minus 15c recorded on several nights , no need to buy a freezer in Iceland ? Early in the morning following such nights , in rural parts of Iceland , best not to go out to your garage in case of a local polar bear being fast asleep under your old duvet. Typical of a polar bear ... doesn't take too kindly to being woken up even if you offer him a cup of tea ? Last edited by Chris From The Gulag on Sat Mar 10, 2018 1:10 pm, edited 1 time in total. The Tour Guide told my sister and her friend that usually the photos you see online/postcards/magazines etc have been enhanced to show up the colours better - you'd be extremely lucky to see the amount of colour in the photos you posted ! Those were taken by an amateur photographer from his bedroom window. Quite agree when it comes to tour guides and other commercial sources. However , with the software available today , it is quite easy for any photographer to " Dress mutton up as lamb ? " One of our members can take upto 200 frames of one astronomical object , wash / stack them through software , before producing the final image ... cheating ? Even the images produced by the mighty Hubble telescope are treated in the same way as with the Chandra telescope when viewing in X-rays before colour is added to seperate the various features. Colours ? Green is usually predominate due to the interaction with oxygen atoms , and also more responsive to both photographic plates and the human eye. In astronomy , a green coloured star is unknown although , occasionly , white / blue stars can produce a greenish sheen when observed under less than favourable conditions. The planet Uranus is a good test for colour , most report a greenish tinge when seen through 6"+ telescopes. John, that is good news. Perhaps when you get a few minutes you could let us know any tips, and what you would do differently?